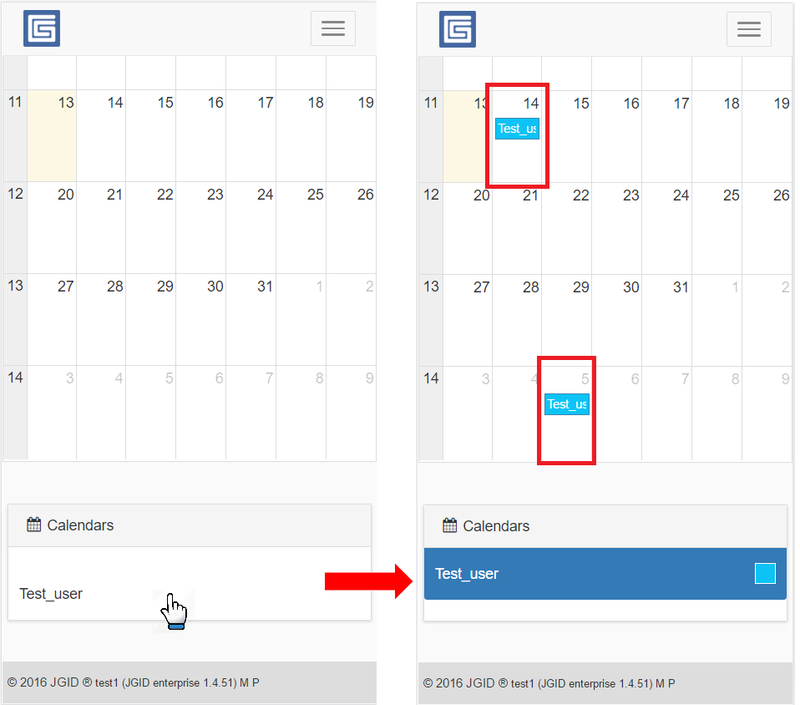 Now that you are logged in your account on the mobile version of JGID, you have access to two buttons – Calendars and Tasks. 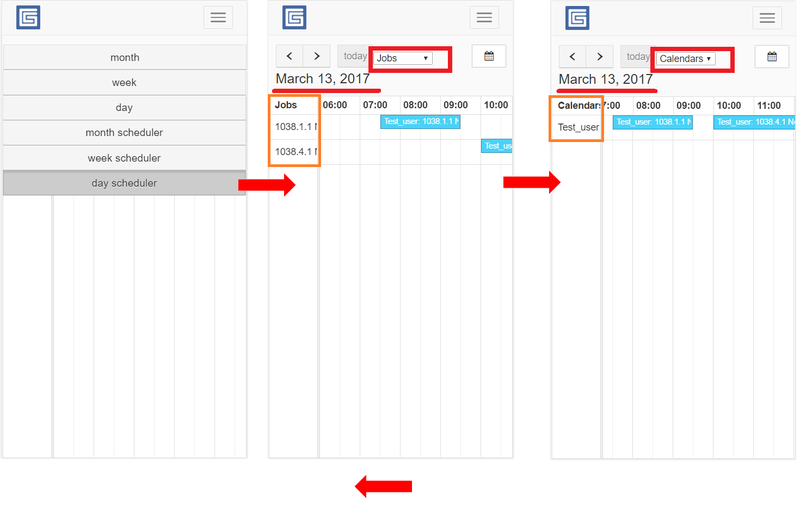 This article will explore in depth the different features the Calendars section presents to the user and how to use them for the purpose of optimizing performance consistency. Note: Bear in mind however that there are four account types – Admin, Manager, Supervisor and Employee. Only the first three account types have access to the whole list of active users, currently available for scheduling and working with or for the company. If your account type is Employee, you have access only to your Calendar and the Job assignments, meaning you don’t see the list of the other users and the list of other jobs, except for those you are allocated to! Also, it is imperative that you have your Calendar name, selected and highlighted in blue, to make sure you see all the jobs assigned to you into the calendar. If your Calendar name is white backgrounded, this means it is not selected, hence your calendar is blank. View type 2 – week – choose this view to get a more detailed view of the days you are scheduled to work on from the current week you are reviewing. In this mode you can see what hours you are scheduled to work on a job, provided the job is not a whole day one. 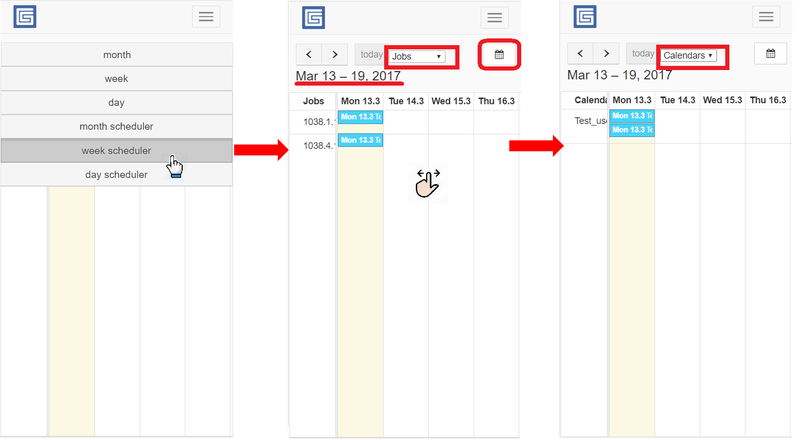 View type 3 – day – choose this view to have a detailed, zoomed in hourly schedule of your daily assignments. 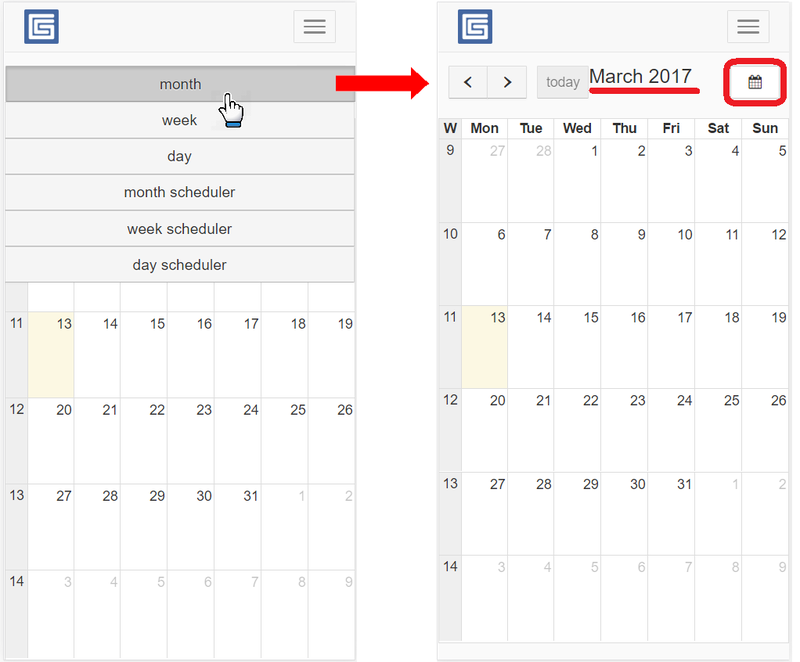 View type 4 – month scheduler – choose this view to use one of the additional calendar features – the Jobs viewer and the Calendars viewer. 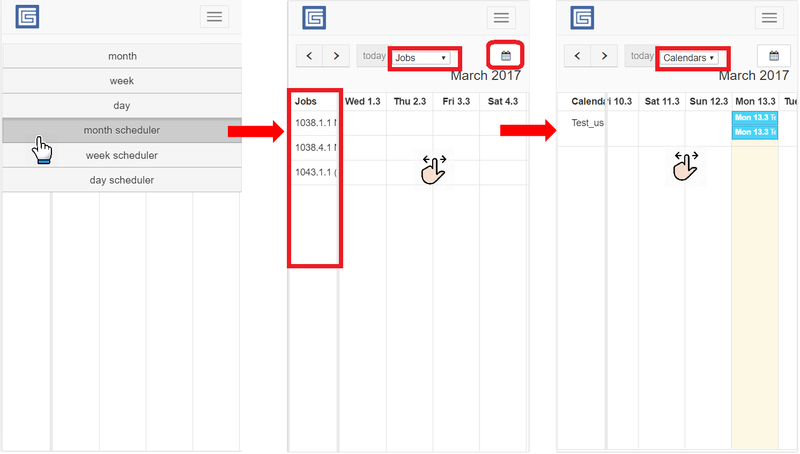 When using the month scheduler – the Jobs viewer will show you a left side located column of all jobs you are allocated to for the particular month, all sorted in numerical order, according to the Job index number. If you know your job number, you can scrol on the screen to see what day of the month you have been schedule to work on the particular job. 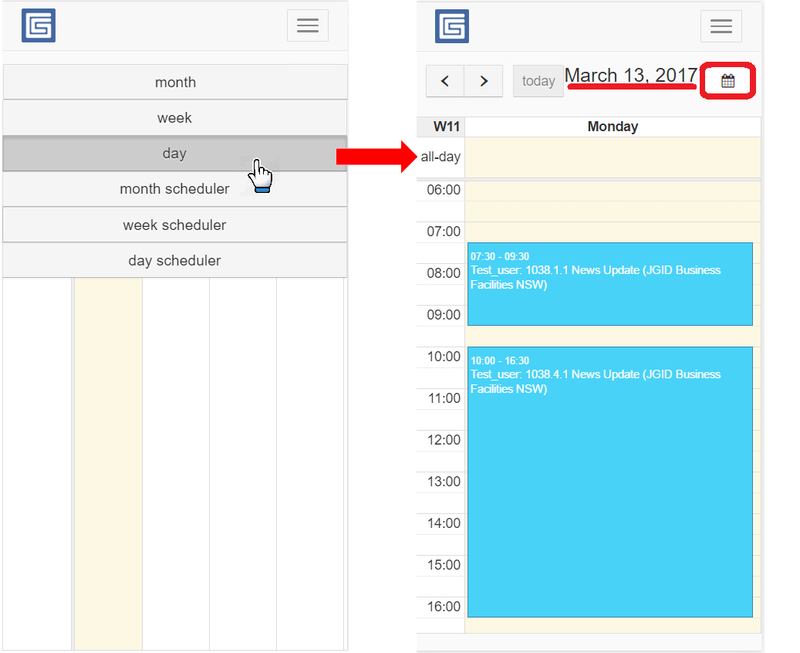 The Calendars viewer will open a similar to the Job viewer scrollable window to offer another perspective. These type of viewers are recommended for Admin or Supervisor account types, that need to manage large teams and significant amount of Jobs. 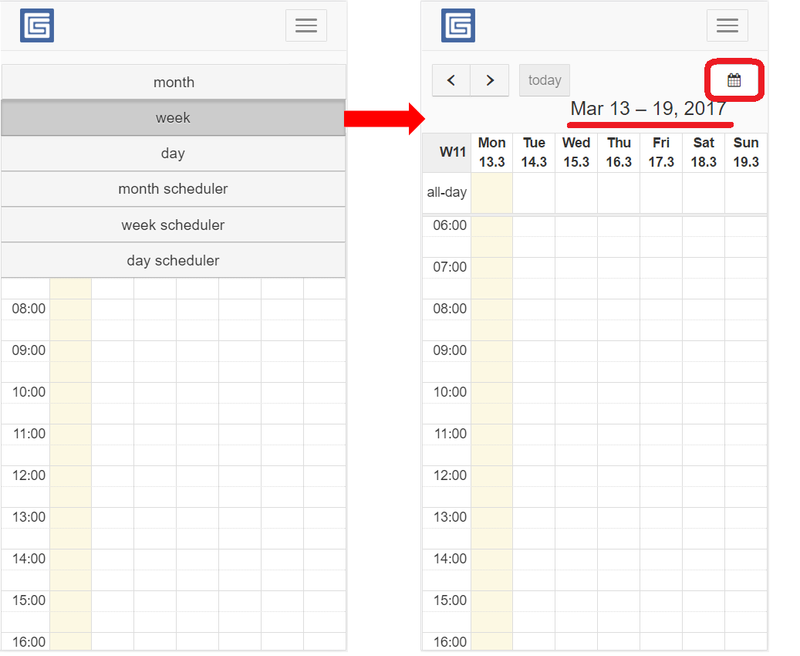 View type 5 – week scheduler – same as the monthly scheduler view, however this will zoom into the weekly breakdown of your job assignments. View type 6 – day scheduler – this preview mode will give you an hourly breakdown perspective of all jobs you need to attend for the day and the timeframe you are scheduled to work for each of them.